The Spring Sports Awards Night will be Monday, May 21st at 6:30pm in the AHS Auditorium. 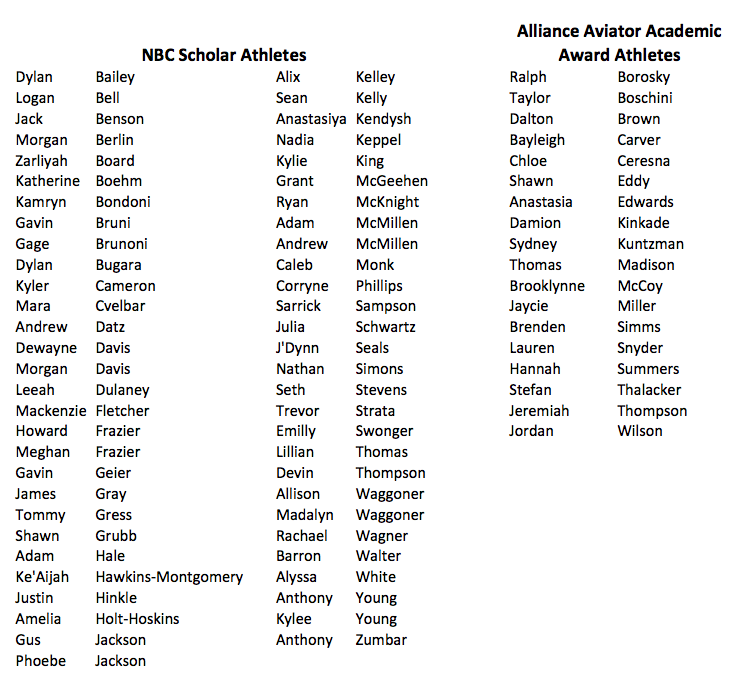 NBC Scholar Athletes and AAAA athletes listed below should arrive at 6pm for pictures to be taken for The Review. NBC Scholar Athlete Criteria: Achieve a 3.4+ GPA for the previous quarter and be awarded a Varsity letter. 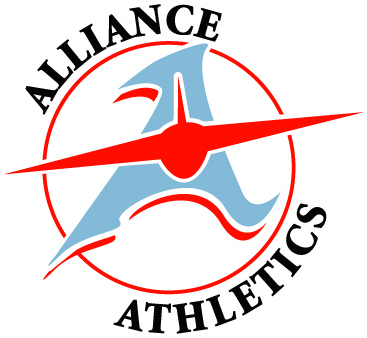 Alliance Aviator Academic Award Criteria: Achieve a 3.4+ GPA for the previous quarter and be awarded a JV/Freshman participation certificate.